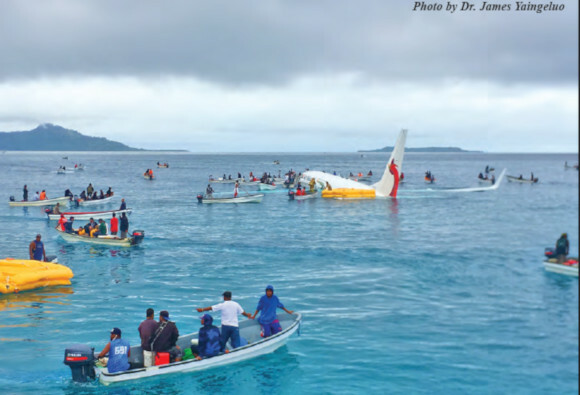 FSM—On Friday morning, September 28, Air Niugini flight PX 073 crash landed in the lagoon short of the runway in Chuuk. I was aboard. It was the worst experience in my life but I am glad to be alive, thanks in large part to Chuukese locals who risked their own lives to save us passengers. “I” is a very strange letter when it stands alone in a news article. “I”’m not sure I know how to handle that particular letter as a journalist but then “I”’ve never been involved in a plane crash before. “I” still don’t know how to handle that fact, neither in my life nor in this article. Still, “I” know, and have heard from many, that despite the fact that my face and voice were all over international news for almost a week, people will want to hear from me, though “I” most certainly was not the only passenger aboard nor even close to the most significant. I just ended up being one of the most visible. It’s such a strange situation in so many ways and I’m not sure I know how to handle it. Maybe I never will. The Indonesian government, who recently reached out to the FSM after many years of diplomatic relations between the two countries, invited me and a few other Pacific Islands journalists for an informational tour of their country. I was heading to Indonesia when I boarded Air Niugini, flight PX 073 on the morning of September 28 after finally having received my flight arrangements only a day and a half earlier. I was the last passenger through the security checkpoint before they said it would close. The flight crew started arriving ten to fifteen minutes later. The flight was scheduled to depart at 8:50 but at that time, boarding hadn’t even begun. Once aboard, my seat, 24F on the right side of the rear of the plane was comfortable and the flight attendants were courteous and pleasant. The safety briefing was pretty much like every safety briefing I’ve ever heard with one variance from my experience. Instead of instructing passengers on how to use the exit doors, the briefing said that a crew member would open the doors in the event of an emergency. I thought that was odd at the time but didn’t think much more of it. When one of the cockpit crew members made the announcement that we were beginning our descent into Chuuk, the flight attendants immediately had the passengers open their window shades, fasten seatbelts and put seats in the upright position. It seemed quite a bit early as there was still 25 minutes left in the flight at that point but it took nothing to comply. As the Chuuk lagoon islands began to appear among aqua sea set against blue sky and white fluffy clouds, I began to search the lagoon for white caps. The evening before my flight a friend posted a weather report for Chuuk on Facebook that indicated a low pressure system with possible cyclonic activity so I was vigilant. It carried a travel advisory for boaters. I don’t know what I thought I’d do if I saw white caps but the lagoon was calm so I relaxed into the descent. 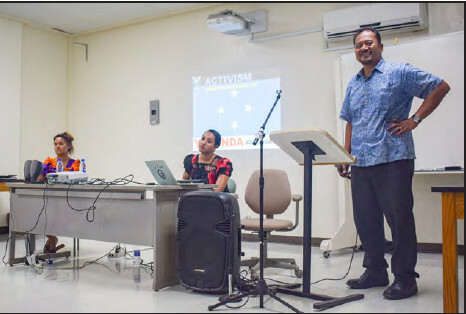 Pohnpei—In late September, Paul Hadik, CEO of Pacific Resources for Education and Learning sent a heads up to The Kaselehlie Press that he was sending his “A-Team” to Pohnpei. While here his “A-Team” planned to meet with both the Executive and Legislative Branches of the National government. The team was to be composed only of highly skilled, educated and experienced Micronesians in their various fields. 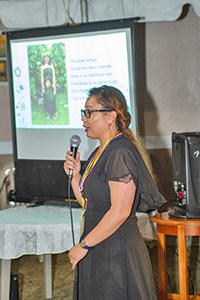 He said that team members would include Dr. Vidalino Raatior of Chuuk, Dr. Jojo Peter of Chuuk, Shanty Asher of Kosrae who recently finished a law degree, Jasmine Mendiola of Pohnpei, Yolanda Joab Mori of Chuuk and Pohnpei, Canita Rilometo and Juan Lawrence who are both from Pohnpei. Hadik said that the purpose of the visit was to “show the new PREL”, a team of Micronesians helping Micronesians. “I just want people to know that I firmly believe there are highly qualified people from the region who should be given the opportunity to address and solve our own problems,” he wrote after the team’s visit was nearly complete. “I have seen too many outsiders try to do the right thing the wrong way. There exists in the FSM and RMI a large number of amazing people and I want to put them all together and see what we can do. 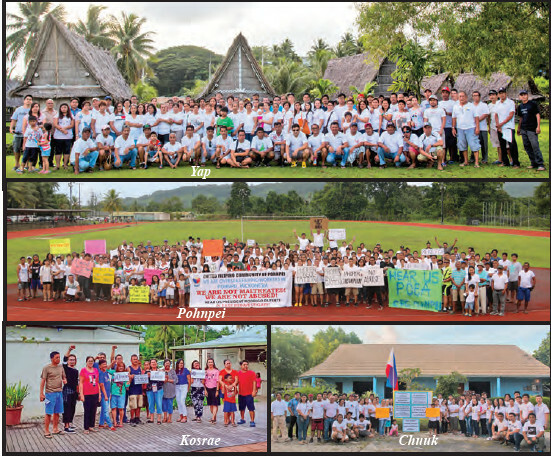 That's the new PREL—‘Micronesians helping Micronesians’. Students at nearly twenty high schools across the Federated States of Micronesia will participate in the Habele Robotics League this school year. Building on the success of the popular Yap Robo League, the hands on robotics program is expanding to include high schools across Chuuk and Pohnpei for the first time. Over the course of the summer, Habele directors met with principals, officials and community leaders across these three states to introduce the program, set expectations, and plan out the 2018-19 school year. For many of the new participants, the Habele Robotics League represents a first opportunity for students to engage with STEM learning in a hands-on way. Schools with previous Robo League experience provide an encouraging example for their peers across the FSM, through heightened interest in technology education, and dynamic student leadership. In Yap State, representatives from school robotics clubs have formed a Student Leadership Team, which meets to plan out details for competitions and training. Pohnpei—Pohnpei today filed criminal charges of forgery against Mitzue S. Paulis, the Administrator of the Pohnpei Supreme Court. The state alleges that on May 26, 2017, Paulis submitted a false request to the Payroll Division of Pohnpei Government to discontinue making pre-authorized monthly deductions in the amount of $221 from her salary for satisfaction of a personal loan with the Bank of Guam. The charges allege that she forged a bank employee’s signature on the form to make it appear that the Bank of Guam had made and approved the request to the Pohnpei State government. The Payroll Division did not grant the request because the signature seemed suspicious. The state alleges that the submission of the form with the allegedly forged signature was an attempt to deceive the Bank of Guam and the State of Pohnpei. Paulis is innocent unless otherwise proved in a court of law. FSM—On September 28, 2018, the Philippine Overseas Employment Administration issued a governing board resolution saying that the lifting of the ban on overseas foreign workers (OFWs) in the FSM applies only to those who already have an employment contract in the FSM. It says that the lifting of the ban applies only to “Balik Manggawa”, rehires of land based workers who renewed their employment contracts with the same principal. What the resolution means is that Filipino workers with current contracts in the FSM who have returned home to the Philippines can return to the FSM as long as they are not changing employers. It was further resolved that the ban does not cover the deployment, port of call, embarkation and disembarkation of seafarers to the FSM. 26 September 2018 - Fiji, Palau, Samoa, and Tonga remain in the High Human Development category of the latest Human Development Index (HDI) and are joined by the Republic of Marshall Islands which is included in the index for the first time. At the other end of the spectrum, the Solomon Islands and Papua New Guinea are rated as Low Human Development on the HDl's measurement of national achievements in health, education and income, released this month by the United Nations Development Programme (UNDP). The 'Human Development Indices and Indicators: 2018 Statistical Update' covers 189 countries, including 10 Pacific Island Countries, the largest number of countries in the Pacific region featured to date. The Federated States of Micronesia, Kiribati and Vanuatu are classified as Medium Human Development. Five of the 10 Pacific countries achieved above average for small island developing states (SIDS}, while two are above average for the East Asia-Pacific region. Movements in HDI are driven by changes in health, education and income. Despite continued steady progress for most Pacific countries, there was little movement in the rankings for Pacific countries; Fiji gaining a place while Palau, Papua New Guinea and Vanuatu effectively have lost one.Such changes in ranking do not always represent significant shifts in individual countries' HDI performance and can be influenced by relative performance of other countries featured on in the report. Per capita national income, adjusted for local cost of living, ranges from US$1,872 in the Solomon Islands to US$12,831 in Palau, with an average of US $5,289.This compares to an average of US $7,721 for SIDS worldwide. Mirroring progress made globally, the Pacific has made good progress in closing gender gaps in education. Infour of the six Pacific Island Countries for which data is available, expected years of schooling for females is greater than males. 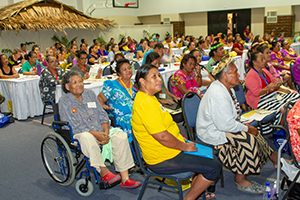 However, the Pacific Island Countries continue to have very few female Parliamentarians. Fiji, having the highest share at 16 percent among the Pacific Island Countries featured in the report, falls well below the average for SIDS or for East Asia and the Pacific. "The report highlights that a key source of inequality within countries is the gap in opportunities, achievements and empowerment between women and men. 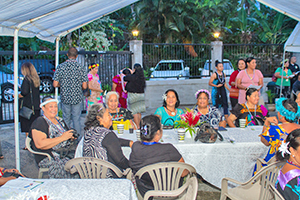 Worldwide, the average HDI for women is six percent lower than for men, due to women's lower income and educational attainment in many countries," said Bakhodir Burkhanov, UNDP Pacific Office in Fiji Country Director and Head of Pacific Regional Policy and Programme. "Although there has been a commendable progress in the number of girls attending school, there remain big differences between other key aspects of men and women's lives. Women's empowerment remains a challenge," he added. the 62.8 years reported in the 2016 HDI report), to 75.2 years in Samoa (up from 73.7 in 2016). However, malnutrition continues to be a major challenge amongst the lower Human Development Pacific countries. Recent literacy rates are only available for some Pacific countries with high Human Development, but those reported compare favorably with the average for East Asia and the Pacific - for adults, young women, and young men - as they did in the 2016 HDI Report. Securing enough decent work continues to be a challenge for countries across the region, with a particularly low labor force participation rate in Samoa. However, official unemployment rates remain low where available, especially for Low Human Development countries in the region,averaging 4.3 percent compared to 6.3 percent for all SIDS. On September 26, 2018 a U.S. Army enlistment ceremony was held at the U.S. Embassy compound for 34 men and women from the state of Pohnpei. Earlier in July 5 members were enlisted in Chuuk and 5 members were also enlisted from the state of Yap. The embassy wishes to extend its congratulations to the new enlistees and we thank you for your service. 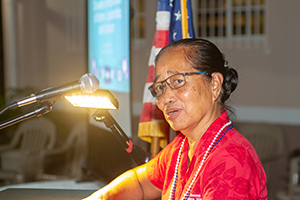 The enlistment of FSM citizens in the U.S. Armed Forces serves as a reaffirmation of the continued partnership between the United States and the Federated States of Micronesia. Once again congratulations to the enlistees and we wish you all the best! 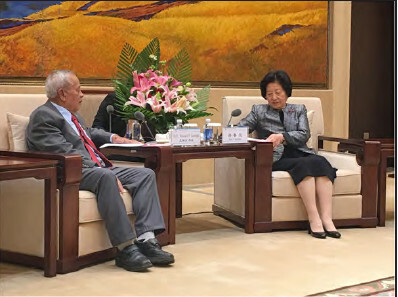 Vice President Yosiwo P. George of the Federated States of Micronesia met with Vice Premier Sun Chunlan of the People’s Republic of China for a bilateral meeting prior to the opening ceremony of the third Silk Road International Cultural Expo held in Dunhuang, Gansu Province, China. Both leaders of the FSM and China were in China’s Gansu Province to contribute to the forum, which promoted cultural exchanges, equality, heritage protection, and cooperation in creative and innovative ways. The goal of the expo was to help people better understand how to promote and implement the Belt and Road initiative, a development strategy proposed by President Xi Jinping in 2013, and building a community of shared future for mankind. Vice President George informed Vice Premier Sun that FSM’s participation in the Silk Road International Cultural Expo was a testament to FSM’s support of President Xi’s Belt and Road Initiative and offered the FSM’s strategic location to participate in the Belt and Road as a hub to bridge and facilitate tourism and trade across the Pacific Ocean. Vice President George also noted all the assistance from China and expressed the FSM’s sincere appreciation. Noting the upcoming 30th anniversary of diplomatic relationship between China and FSM next year, Vice President George reiterated the FSM Government’s strong support and adherence to the One China Policy, a policy which stands as a solid pillar of the overall diplomatic relationship between FSM and China. Vice Premier Sun responded to Vice President George by expressing her appreciation to the FSM for its support to the Belt and Road initiative and for Vice President George’s positive comments on the FSM-China bilateral relationship. The Vice Premier stated that FSM is an important country in the Pacific region and exclaimed that China values its relationship with the FSM. PALIKIR, Pohnpei - The Embassy of China in Pohnpei hosted a dinner reception at Cliff Rainbow Hotel to celebrate the 54th anniversary of the Founding of the People's Republic of China. Ambassador Zhang Binhua welcomed the impressive array of high officials and guests from the national and state governments, the diplomatic community and a range of friends from the local communities to the evening's celebration. Since the establishment of Diplomatic ties in 1989, China has steadily supported and assisted the FSM in its nation building efforts, both on the domestic and international platform. The Federated States of Micronesia transmitted a congratulatory letter to the People's Republic of China's President, Hu Jintao, to express gratitude and continued strengthening of relations between the two countries. It is with great pleasure and honor that I extend to you a warm congratulations as you celebrate this special and important day commemorating the fifty-fourth anniversary of the founding of the People's Republic of China. On this special day, we join Your Excellency and your people in celebrating a long history of accomplishments. Our two countries continue to enjoy a strong and cooperative relationship based on our shared values and interests. We appreciate the continued assistance of the People's Republic of China towards our nation building efforts and we continue to look forward to working with China closely on many multilateral issues. The Federated States of Micronesia is proud to have strong relations with the People's Republic of China and I look forward to working with you in further strengthening it. May I take this opportunity to wish you a personal good health and for the continued well-being and prosperity of the Chinese people. Air Niugini Board, Management and staff together with some members of the diplomatic corps attended a memorial service at Air Niugini Headquarters in Port Moresby this morning (Friday 05th October) to mark the passing of seven days since the tragic accident of flight PX-073 and to express sympathy towards the passenger who lost his life. Prayers were offered for the deceased passenger and his family, as well as the survivors, before a minute's silence was observed. Our staff also attended memorial events at the crash site in the Chuuk lagoon and the hospital where injured passengers are being treated. The Governor and Lt Governor of the State of Chuuk also led the Chuukese communities in this period of silence. Similar events were observed by all Air Niugini staff throughout our network in both domestic and international offices as well the General Sales Offices. During the memorial, Deputy Chairman of Air Niugini Board, Mr Andrew Nui spoke of the sad loss of one of the passengers from the flight and asked for those attending to remember both him and his family in their prayers. He also wished a quick recovery for those passengers being treated in hospital for their injuries. Mr Nui also took time to thank both local islanders on Chuuk and the US Navy team who went out into the lagoon to assist passengers and crew. PALIKIR, POHNPEI October 5, 2018 – The recent session of the 20th Congress of the Federated States of Micronesia adjourned on October 2 with two confirmed nominations and the approval of grant resolutions for the various health, education and social programs of the Nation. Convened on September 17, the Fifth Regular Session of the 20th Congress adjourned last week with the adoption of the following Congressional Resolution (CR): CR 20-122, which confirmed Albert Falcam to serve as a the National Government representative on the FSM Social Security Board of Directors; and CR 20-121, which confirmed Jesse John Salalu as the National Government representative on the College of Micronesia-FSM Board of Regents. On a nomination related note, the Congress adopted CR 20-141 to authorize the President’s resubmission of the nomination of Tulensru E. Waguk to serve as the Kosrae representative on the Board of Regents of the College of Micronesia-FSM. Waguk was defeated during his first voting round. The Congress adopted CR 20-138 to express the Member’s collective gratitude to Allison Laffen for her continued and dedicated services as staff attorney to the Congress of the Federated States of Micronesia since 2009. Day two the 5th Regular Session, the Congress set the ceiling for the budget appropriations as prescribed by law with the adoption of Congressional CR 20- 128, this sets $201,117,120 as the ceiling of the total funds estimated to be available for appropriations from the FSM General Fund for the fiscal year ending September 30, 2018. 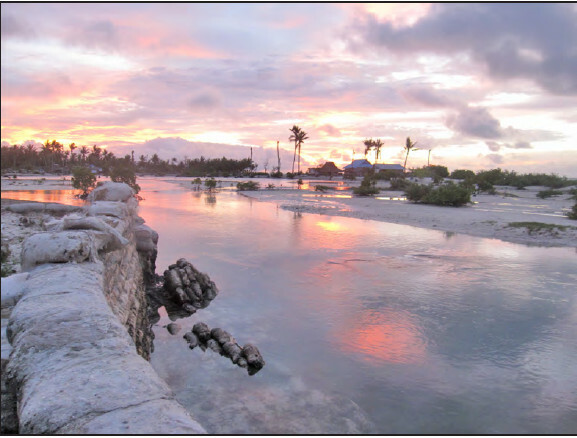 Of which, 5,252,250 is available under the amended Compact Sector Grants for infrastructure and $1,612,620 is available for the Supplemental Educational Grants as managed by the College of Micronesia – FSM. Mr. Albert Falcam was nominated and confirmed to serve as a member of the Board of Trustees of the FSM Social Security Administration, representing the national government. On October 9, 2018, Mr. Falcam took his oath with the presence of His Excellency Peter M. Christian, President of the nation and Vice President Yosiwo P. George. Present to witness the swearing were FSMSSA Chairman of the Board, Honorable Jack Harris, FSMSSA Administrator, Honorable Alexander R. Narruhn, FSM Secretary of Foreign Affairs Honorable Lorin Robert, Honorable Lukner Weilbacher, Secretary- FSM TC& I, FSM Chief of Staff Honorable Leo Falcam Jr., FSM AG lawyer Mr. Leonito Bacalando Jr., and special advisor Mr. Dohsis Halbert. Attendants on behalf of the Uh Municipal Government included Chief Minister Dahker Abraham, Deacon Adelino Lorens and Deacon Henry Donre. There were other national staff representatives present. Vice President George, in his welcoming remark, congratulated Mr. Falcam and acknowledged the presence of everyone, leading the floor to His Excellency’s remark of the day’s event. Mr. President, in his remark, assured the group of how the Social Security laws and regulations were mandated to keep the integrity for the welfare of the system to be subordinate to constituents. His Excellency further reminded the Board of its purposes, which he fully entrust to gain positive outcomes of the Social Security Program. Mr. Albert Falcam took his oath confirmed by His Excellency Peter M. Christian, President, Federated States of Micronesia. Furthermore, FSMSSA gained an asset, new Board of Trustee Member, Mr. Albert Falcam, representative- National Government. Mr. Falcam with delight, conveys his most sincere appreciations and assured everyone present his will and commitment to serving the people of the nation in the Social Security Program. With addition of Mr. Falcam, the FSMSSA Board of Trustees now has a full house. Its members needed as mandated, a representative from each of the four states, a national government representative and Administrator as Ex-Officio Member. Moreover, Chairman of the Board is Honorable Jack Harris- Pohnpei represent,Honorable Vincent Tafileluw of Yap- Vice Chairman, Honorable Nakama Sana of Chuuk, representing Kosrae is Honorable Nena Ned, and National Government representative Honorable Albert Falcam. At its closure, prayer and blessings of grace was then given by Deacon Adelino Lorens. Limiting global warming to 1.5°C will require “far-reaching and unprecedented changes” to human behaviour, according to a United Nations scientific panel, launching a special report on Monday that finds some of the actions needed are already under way, but must be dramatically increased. “One of the key messages that comes out very strongly from this report is that we are already seeing the consequences of 1°C of global warming through more extreme weather, rising sea levels and diminishing Arctic sea ice, among other changes,” said Panmao Zhai, Co-Chair of one of the IPCC Working Groups. Petteri Taalas, Secretary-General of the World Meteorological Organisation (WMO), said on Monday in Geneva that there was “extreme urgency” needed on the part of Paris Agreement signatories, and “so far the progress hasn't been good enough” to keep temperature rises below even 2°. “Climate change is already visible and it is having an impact on human beings and ecosystems all around the world...With 2° we will have ice-free summer in the Antarctic every year, but with 1.5° we would see that, only every 100 years," he said, giving one example of how the world's weather dramatically changes per half-degree. Pohnpei, FSM- The Awak Farmers Association has a great project just starting. 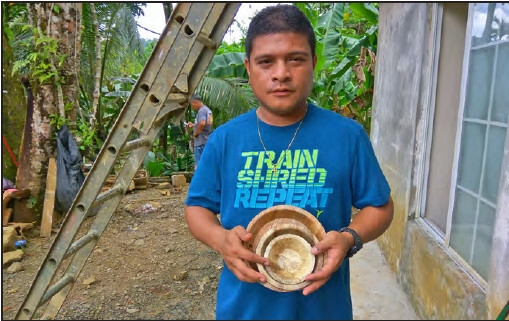 They will be producing the betelnut palm eco-plates as a substitute product for styrofoam or plastic plates currently imported to Pohnpei. Betelnut palm is abundant and a natural resource in the community and currently just often discarded. The betelnut eco-plates are hypo-allergenic, food and human safe, and easily decomposes after use. The project not only aims to solve an environmental issue, but also provides an alternate income source for the villagers. 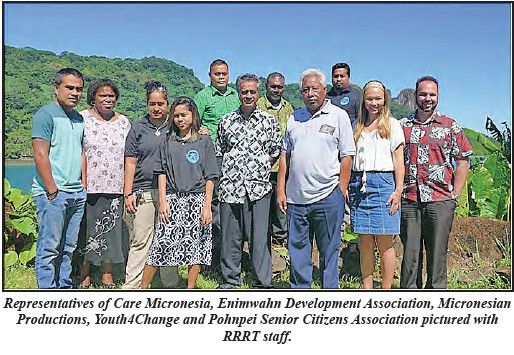 With such a promising project, the Awak Farmers Association is a recent grant recipient of the Direct Aid Program through the Australian Embassy in Pohnpei. The grant funds will go towards securing four press machines for production of the betelnut palm eco-plates. The Awak Farmers Association is a registered community based non-government organization in Pohnpei, FSM, founded to spearhead important sustainable livelihoods options for the community of Awak. The Association got started by promoting dry-litter piggery projects within the community. A revolving fund was established where members of the Association were able to receive funds to convert their piggeries into the dry-litter system with 100% farmers agreeing to pay back the amounts loaned out by the organization. This enabled a sustainable revolving fund to maintain operations of ongoing projects and allowed more farmers to borrow funds for additional environment, social, and health related projects. Income generated from the new eco-plates project will also go into the revolving fund. 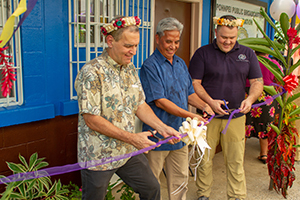 P o h n p e i — Dignitaries gathered this afternoon for a ribbon cutting ceremony at V6AH, Pohnpei’s public radio station. The building had not been renovated in many years. Commissioner Peterson Sam said that in addition to brand new paint and signage, structural repairs and improvements were made that now makes it possible to use areas that had long been relegated to storage. The hallways were widened to allow for access for people with disabilities. Other improvements are planned and in the works. The purpose of the renovation was for the enhancement of early warning and supporting the effective delivery of public information and awareness raising. It was funded by the United States Agency for International Development (USAID) and the US Department of Agriculture and Rural Development (USRDA), and also by the FSM Congress. 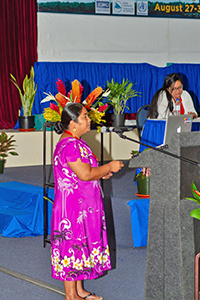 The project was implemented by the International Organization for Migration – PREPARE program with cooperation from Pohnpei Governor’s Office and Pohnpei Public Broadcasting Corporation. The Master of Ceremonies for today’s program was Brenda Eperiam. Deacon Augustine Damarlane gave the invocation. Speakers were Kester James, the Chairman of the PBBC Board of Directors; Governor Marcelo Peterson; Ambassador Robert Riley, US Ambassador to the FSM; Nathan Glancy, Chief of Party, IOM; and Lt. Governor Reed Oliver. The ribbon was cut by Ambassador Riley, Mr. Glancy, and Governor Peterson. Pohnpei—The Pohnpei State Legislature is considering a bill (LB 355-18) to require all vehicles to have a minimum of $15,000 of Property Damage Liability Insurance and the same amount for Third Party Bodily Injury Liability before a vehicle can be registered. The Justice and Governmental Operations Committee has already conducted at least one public hearing on the bill but a committee report has not yet been introduced. “The Legislature finds that motor vehicle insurance is necessary to assure that injured Pohnpeians receive adequate compensation when they are injured in their person or their property. It is the intent of this legislation to require mandatory motor vehicle liability insurance in order to guarantee adequate protection for victims of car accidents who are injured in Pohnpei or who are injured while riding in motor vehicles which are operated in Pohnpei,” the bill says. If the bill passes it would go into effect on January 1, 2019. Certification of insurance would be required before a vehicle could be registered. The insurance must be in effect for the entire year of registration unless the vehicle is sold or otherwise transferred, at which time the new owner would be required to have insurance before it can be re-registered. If the vehicle owner lies about having insurance, the Director of the Department of Public Safety would have the power to revoke a registration. If that action is taken, that vehicle would not be eligible for registration for six months. If a person’s registration certificate is revoked, the registration certificate cannot be transferred in any other name unless the Director is satisfied that the transfer was made in good faith and not for purposes of defeating the purposes of the law. The Department of Public Safety would be authorized to immobilize any vehicle that has a revoked registration certificate. The bill, in its current form would require insurers to notify the Department of Public Safety of any insurance cancellations or lapses. The Director would then inform the insured that insurance for the vehicle has been cancelled. The insured would then have 30 days to procure a new policy or re-instate a policy. If that is not done within the imposed time limit, the owner of the vehicle would be fined $500 and the vehicle will be subject to impoundment. Pohnpei—Two weeks ago, Pohnpei’s Attorney General Dana Smith issued notices for alleged trespassers on Pohnpei state lands at the Public Market site in Kolonia and on property located near PICS High School to vacate or face legal action. That legal action didn’t come in the way that some expected it would come. The expectation of a forced removal of so called “squatters” at the Public Market had never been planned. Just the same, protestors gathered en masse, ready for a confrontation that was never intended and was never planned. Quietly, the Attorney General filed civil actions at the Pohnpei Supreme Court against more than 200 alleged squatters at both sites as he had promised to do in his public notice and direct service methods. Those notices never said that the alleged trespassers would be physically removed on August 31, only that those who are occupying the properties in question should be out on or before August 31. The aircraft accident investigators from the FSM, PNG and the USA arrived in Port Moresby from Chuuk on Sunday 7 October and immediately commenced work preparing the recorders for data download and subsequent analysis and analyzing records. PNG AIC is using state of the art download electronic equipment specially brought to PNG from Canada for this accident investigation. Because the aircraft crashed into the Chuuk Lagoon the recorders had been immersed in salt water. The AIC investigators have today completed the disassembly of the recorders to remove the data memory chip boards while they remain immersed in water. They have painstakingly cleaned them in distilled water to ensure no salt water and other contaminants remain on the boards. The FDR and CVR boards are being dried in an oven for between 18 and 36 hours to ensure all traces of moisture have been removed before being connected to the downloading electronic equipment. The international teams from PNG and the USA have been diligently assisting the FSM investigators. The Government of the Federated States of Micronesia is grateful for their support to achieve the best possible safety outcome for aviation globally and particularly in our region. The FSM Government is pleased to learn that the PNG AIC is buying the 21st century technology MARS recorder download and analysis system and the Insight Flight Animation Software. This will ensure the AIC is at the cutting edge if this technology and will be equipped to conduct flight recorder downloading and analysis for years to come. This is vitally important for aviation safety throughout Pacific Region. Official update to the media will be issued by the FSM Investigator in-charge. Pohnpei, FSM—Pohnpei has filed criminal charges against Iso Nahnken of Nett, Salvador Iriarte alleging criminal solicitation based on a speech that he gave on the grounds of the Kolonia Public Market on August 31, 2018. August 31 was the day by which, according to notices issued by the Attorney General’s office, occupants of the Public Market were to have vacated or face legal action. A crowd gathered in force on that day, apparently expecting a confrontation that was never planned to have happened. Instead, on that day, the Attorney General’s office filed civil actions in Pohnpei Supreme Court against all presumed trespassers on the property. Though the charges against Mr. Iriarte were filed a month ago, the court did not, until recently issue a penal summons. Mr. Iriarte had not been aware of them until the penal summons was issued and served on him. His arraignment is scheduled for today in the Pohnpei Supreme Court. Colonia, Yap- Some fish enthusiasts bring home mounted displays of their catch. Two Guam residents took home awards for a photo and a video of sea life instead. 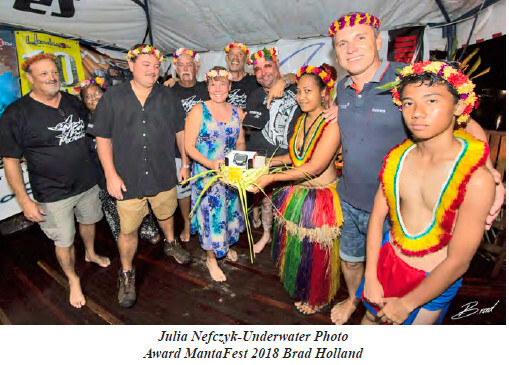 Mike Fusco and Julia Nefczyk were among the divers from the U.S., Canada, Taiwan, Korea and Germany attending MantaFest 2018 in August. The underwater enthusiasts came together to dive among the island’s resident population of manta rays and study with professional underwater photographers. Fusco’s video of a moray eel and a banded shrimp received Honorable Mention in the Video category while Nefczyk's photo of angelfish swam away Local underwater photographers catch awards in Yap with a top award in the Compact Camera/ Behavior category. Held annually by the Manta Ray Bay Resort and Yap Divers, the event brings divers from around the world for two weeks of photo workshops, special dives, evening media presentations, oneon- one training by top professionals, a photo contest, dive party and tours of the island. In addition to diving, snorkeling and deep sea fishing, Yap is renowned for its unique stone money currency and its culture that is among the best preserved in the Pacific region. For more information, go to www.mantaray.com or #mantaraybay. Bright, sunny days don’t often lend themselves to large catches of fish during fishing tournaments and it was certainly that during the 11th Annual Blue Nile Fishing Tournament. But while there weren’t large catches of fish caught on the 15 boats that registered, large fish were certainly caught. Mark Johnny, aboard the Happy Hookers caught the biggest, a 308 pound marline that he promptly donated to the Pohnpei State Hospital. Johnny won a roundtrip ticket to Guam, a monstrous 4.5 liter bottle of Chivas Regal, and $200 cash for his 308 pound marlin. On any other day, Kikuo Apis, Jr. Might have won first prize for big fish but today he took second prize for his 197 pound marlin. For that he won $400 cash, a smaller bottle of Chivas Regal and a $25 gift certificate. Two huge yellowfin tunas provided Eugene Kohler with both third and fourth prizes. Eugene Kohler won $300 cash, a bottle of Chivas Regal, and a $25 gift certificate for his 96.5 pound fish. His 86 pound yellowfin won him $200 cash, a bottle of Chivas Regal and a $25 gift certificate. Each of the special prize winners earned $100. 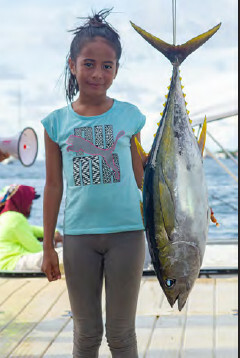 Kikkuo Apis, Junior landed a, just short of fourth prize for biggest fish, yellowfin at 80 pounds. James Wichman bagged a 22 pound wahoo. Konrad Englberger always manages to land at least one barracuda. This time he won $100 for his 18 pound specimen. Isaiah Hawley landed a 6.5 pound mahi mahi. Ladies Anglers won prizes for their outstanding fish as well. Topping them was Bernolina Hedson with her beautiful 30.5 pound Giant Trevally. Lara Trott followed up with a 23.5 pound wahoo. Marcella Hawley had an 11 pound barracuda. Junior anglers were out in force as well. Stephanie Spencer landed a 20 pound yellowfin for which she was awarded $100 cash, and a $50 gift certificate. Denzel Lawrence won $50 cash and a $50 gift certificate for his 16.5 pound barracuda. The awards ceremony was well attended. We had a big crowd, and lots of liquids were flowing, especially the Chivas for the winners from Titan Imports. There was a barbecue to support the library, thank you Uta and Moira. Many thanks to everyone who helped out including Bill Pendergraft, Tina Albert, Cel Perez Pendergraft, and all the people on the dock and in the boom truck. WASHINGTON – Doug Domenech, U.S. Department of the Interior Assistant Secretary, Insular and International Affairs, this week announced an additional $4 million in Compact Impact funding for fiscal year 2018 to be distributed to Hawaii, Guam, the Commonwealth of the Northern Mariana Islands (CNMI), and American Samoa to defray costs and impacts associated with migrants under the Compact of Free Association (Compact), or U.S.
Public Law 108-188, to each of these affected jurisdictions. Under the Compact agreements (P.L. 99-239 and P.L. 99-658), citizens of the Federated States of Micronesia, the Republic of the Marshall Islands, and the Republic of Palau, also known as the freely associated states (FAS), are eligible to live and work in the United States as legal nonimmigrants. Under the Amended Compact of 2003 (P.L. 108-188), Congress provided $30 million each year in mandatory funds to help defray costs associated with migrants under the Compacts to the affected jurisdictions of Guam, Hawaii, the CNMI, and American Samoa. Supplemental discretionary Compact Impact grants were first authorized and appropriated in fiscal year 2012 as an additional contribution for educational impacts. Most of the $30 million in mandatory Compact Impact funding for fiscal year 2018 was already distributed earlier this year, with $14.9 million given to Guam; $12.8 million given to Hawaii; and $2.3 million given to the CNMI. American Samoa’s portion of mandatory funding, $21,705, will now be sent to American Samoa along with their discretionary amount of $2,893 for a total Compact Impact funding support of $24,598. Guam will receive an additional amount of $176,989 which is prior-year unspent Compact Impact funds. The mandatory funds may be used more broadly for health, educational, social, public safety services, or infrastructure related to such services due to the residence of Compact migrants in these jurisdictions. Approximately 700 runners and walkers of all ages braved the early morning hours to participate in a 5K fun run/walk sponsored by the Embassy of the People’s Republic of China to the FSM. The theme of the event was “China and FSM Friendship Forever” and participants each received a t-shirt emblazoned with the theme celebrating 29 years of diplomatic relations between the FSM and China. They also received large folding fans with a stunning graphic of the Great Wall of China juxtaposed with the FSM’s World Heritage site, Nan Madol. China’s Ambassador Huang Zheng gave a speech about the warm relations that the FSM has had with China since 1989. Acting Foreign Affairs Secretary Samson Pretrick spoke on a similar topic. But runners were anxious to get started and when the speeches were done, they were ready to take off. Jim Tobin of the FSM National Olympic Committee had to reign then walkers and runners back in so that they could all start at the same time. When they did start, it was like the running of the bulls in Pamplona, Spain. One of the runners later commented that he had participated in the famous running of the bulls once in his life. He said that he found that the biggest danger in that event was not the bulls themselves, but of the people trying to get out of their way. When the countdown was completed, the runners and walkers took off across the width of the road—bystanders, like photographers could potentially have been in danger but survived. When the smoke cleared at the starting line, a lonely pair of broken zorries (slippers, flip flops) lay abandoned in the street. Clearly, some of the runners were serious about getting down the road and 20 minutes or so later, some of the runners were already back. Walkers were slower about it but after they had mostly all arrived, prizes were awarded by draw for registered participants. One of the most often heard comments about Yap from first-time visitors is how clean the island is. Its citizens are deeply attached to the land and surrounding ocean and committed to keeping it unspoiled and unpolluted for the generations. But there is one abiding problem in Yap’s pristine environment – the overpopulation of feral dogs and cats and the diseases they carry. It is common to see animals suffering from malnutrition, infections, and injuries. Puppies often die painfully from preventable illness. Public health threats also crop up with parasite and disease ridden animals in close proximity to humans, aggressive animals that might attack and injure pedestrians, feces that attract flies to household areas and contaminate food, and garbage cans that the hungry animals invade and overturn. Unfed dogs and cats can also wreak havoc on local wildlife. The solution? Veterinary clinics that provide spaying and neutering services. But there are no veterinarians on Yap. The Yap Animal Protection Society (Y.A.P.S. 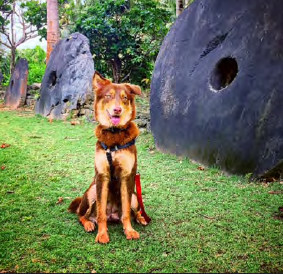 ), an all-volunteer, locally registered, nonprofit organization, was formed in 2009 to address this concern by recruiting veterinarians to come to the island to hold spay and neuter clinics. A small group of committed residents donate their time for fundraising, organizing and implementing the popular clinics with the aim to make the clinics as accessible to residents as possible by offering the services for free. In March 2018, the island was visited by the Pacific Partnership, the U.S. 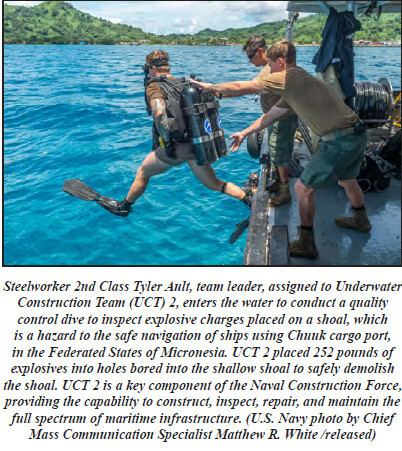 Sailors from the U.S. Navy’s Underwater Construction Team (UCT) 2 conducted an underwater demolition blast to remove a hazard to navigation at the Chuuk Main Cargo Wharf, in the Federated States of Micronesia (FSM), Sept. 9. The controlled demolition removed a shallow shoal and will improve the safety of ships navigating in and out of the port. Following a bathymetric survey of the demolition site, the blast lowered the depth of the sea floor by approximately five feet, displacing more than 3,000 cubic yards of shoal. “We are grateful to the U.S. Navy for taking this positive and proactive step to maintain safety within Chuuk port,” said Robert Riley, U.S. Ambassador to the FSM. “The action is emblematic of the steadfast and enduring nature of the security relationship that exists between the United States and the FSM, and is indicative of the close bonds that exist between our two countries. The sun will not set on our commitment to the defense of the FSM.” During the preparation leading up to the blast, UCT 2 divers drilled 29 holes approximately three feet into the shoal, and filled them with 252 pounds of explosives. The controlled demolition lowered the depth of the shoal, which was initially at a depth of 20 feet below the water’s surface, to approximately 26 feet. Throughout the planning and execution stages of the project, environmental safety measures were employed in accordance with the Marine Mammal Protection Act and Endangered Species Act. 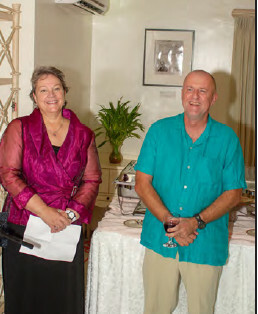 September 21, 2018 Pohnpei—US Ambassador to the FSM, Robert Riley hosted a dinner reception to welcome the new Deputy Chief of Mission Heather Coble and her husband to the FSM. According to a press release on the US Embassy website, Coble previously served primarily in economic positions, include Fiji, Panama, Indonesia, Afghanistan, Washington D.C., and the Iraqi Kurdistan Region. The Foreign Service is her third career after successful professions in the corporate and academic sectors. She has experience with global financial concerns, antimoney laundering and anti-corruption initiatives, business promotion, and environment, science, technology, and health issues. She speaks Spanish and Indonesian. Heather earned her undergraduate degree from Southern Methodist University in Dallas, Texas. She completed her Masters of Business Administration and earned a Master of Science in Economics from Georgia State University in Atlanta, Georgia. Her husband is a retired FBI special agent. They have two daughters, a mechanical engineer and a marine biologist who like surfing. The entire family enjoys boating, SCUBA, and snorkeling. During his speech, Ambassador Riley said that Coble has also earned a doctorate. After her introduction, Coble spent the evening circulating among all of the tables, not just those where dignitaries such as Vice President Yosiwo George and others sat. Governor Eddie Calvo and President Peter Christian of the Federated States of Micronesia sat down to meet yesterday, Wednesday, Sept. 19, 2018. The two leaders discussed the need to work together to help FSM citizens living in Guam. To assist the island of Guam with the typhoon recovery, President Christian told Governor Calvo the FSM will be making a $100,000 donation to the island. Governor Calvo has said both governments need to work together to compel the federal government to live up to their part of the Compact agreement and help Guam and FSM. Both leaders expressed their frustration that discussions with U.S. Federal counterparts are mired in regulation and policy instead of solutions. The Governor raised the issue of the FSM citizens who need help recovering from Typhoon Mangkhut but whose non-immigrant status with the U.S. Federal government means they can’t get FEMA assistance. President Christian said the FSM has been trying to find solutions. In discussions with the U.S. Embassy located in FSM they have asked if U.S. AID can step in since FEMA cannot assist families. President Christian said he and the FSM government have been discussing options for helping to ensure citizens are prepared for life in Guam and other jurisdictions before leaving their home nation. He said the government cannot deny a citizen’s request for a passport but what they can do is work with those citizens making the request to ensure they have confirmed jobs, homes or schooling plans awaiting them if their intent is to travel to Guam or another U.S. Community. President Christian said his administration’s efforts are aimed at ensuring that people leaving the FSM go abroad and gain enlightenment but then return home to help their island. President Christian has charged the FSM community to find ways to reach out to those not abiding with the precepts of the Compact Agreement between the U.S. And FSM. “We are very concerned,” said President Christian about recent videos depicting violence by apparent Guam FSM residents. 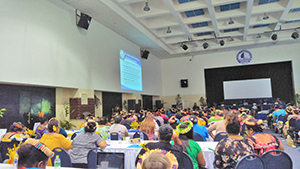 He added that the FSM community on Guam has communicated with him their worry that a small percentage of the Micronesian community is causing trouble and casting a cloud of negativity and shame on those nationals abiding by local laws. “Everyone is upset about this lack of civility.” President Christian added his desire to revive discussions he had with the previous administration on a housing program for FSM nationals on Guam. President Christian expects to return to Guam next month to continue discussions. September 15, 2018 – Pohnpei— This morning, volunteers from the Micro- Japan Club at the College of Micronesia FSM, students from Reitaku Uni and Risumeikan Uni in Japan, JICA volunteers, Ambassador Rieko Horie and his wife Yuko, Japanese Embassy staff members and Masahiro Michishiro picked up a truckload of trash on the causeway. The effort was in celebration of World Cleanup Day. A Pohnpeian volunteer expressed his disappointment at the amount of trash that residents of Pohnpei carelessly discard on the causeway and elsewhere. “They come out here and eat lunch, and just leave their trash for others to pick up”, he said. “We should expose them! It’s shameful.” The purpose of the cleanup was not to shame but to reclaim the pristine environment that should be Pohnpei. 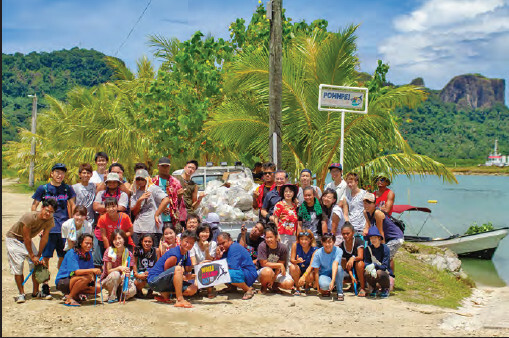 All too often, volunteers walk the streets and villages of Pohnpei to clean up trash that is carelessly left behind. But by the next day, or sometimes even while the cleanup is happening trash is refilling from behind the people doing the cleanup. Organizers seemed to hope that residents of Pohnpei will eventually get the message that it is their responsibility to clean up their own discards and that every item discarded carelessly stacks up with other people’s discards to create a monumental mess that should not be ignored. It should not take a cleanup program to keep Pohnpei clean. In March of 2018, Mrs. Karo Lelai, the chairperson of the Oceania National Olympic Committee Athletes Commission sent a letter to the FSM Swimming Association saying that it had received numerous reports that the Federation was discriminating in the selection process for elite FSM Swimming Association reminded of Olympic mandate for non-discrimination swimmers to compete internationally. Since that time, Clark Graham of Chuuk has sent the letter several times to the Kaselehlie Press asking us to reprint it. His most recent demand came earlier this week, but the letter was copied to only four people and Graham’s name was not on that list. Mrs. Lelai expressly denied permission to reprint the contents of her letter. “In my capacity as chairperson of the ONOC Athletes Commission and as far as I am aware, the matter was resolved,” Lelai wrote in response to our questions. “The issue was to ensure that athletes were given fair and equal opportunity to try out for the swimming team and as far as I know, this was the case.” Since that time, a young woman who has lived her life in New York whose mother is Chuukese went to Papua New Guinea for the Oceania Swimming Championships. Next week, she is going to the Young Olympic Games in Argentina representing the FSM as the FSM’s only swimmer. She is also going to the FINA world short course swimming championships in December. September 27, 2018 FSM— In a show of solidarity, Filipino workers across the FSM gathered together in each of the FSM states during the last two weeks to send the message to President Dutertre that they are not being abused in the FSM. They asked their President to reinvestigate the total ban on processing and deployment of workers to the FSM. A news article in yesterday’s “Manila Bulletin”, written by Leslie Ann Aquino indicated that the message sent by Filipinos working in the FSM was received in Manila. That article said that Labor Secretary Silvestre Bello III would be meeting with Bernard Olalia, the head of the Philippine Overseas Employment Administration to see if there was any basis to lift the ban. recommendation of Marciano De Borja Philippines Consul in Guam. His recommendation seemed to be based, at least partially, on allegations of maltreatment and abuses from either one public health worker in Chuuk in 2017, or systemic mistreatment of Filipino doctors and nurses at Chuuk State Hospital. Those allegations led the powerful Philippines Overseas Employment Agency (POEA) to “blacklist” the Chuuk State Hospital.